As the advocate for business credit and financial management professionals, NACM is the primary learning, knowledge and information source. We envision NACM as an organization that creates and anticipates change; progressing with and through its members, providing opportunities for professional growth throughout their careers, without regard to size, industry or market position of the companies that employ them. In April of 2017, NACM made an organization-wide decision to rebrand—to bring clarification and alignment to our organization. The resulting new logo inspires thoughts of momentum and movement, and uncovers our essential value, which is Driving Results. To position business credit professionals for success while setting standards of excellence in business credit and financial management. Planning to be in the Maryland/DC area, you can stop by the NACM-National Headquarters for a visit. Please schedule a visit by contacting us by phone at 410-740-5560. We are located close to Baltimore and not far from DC. Click here for directions. 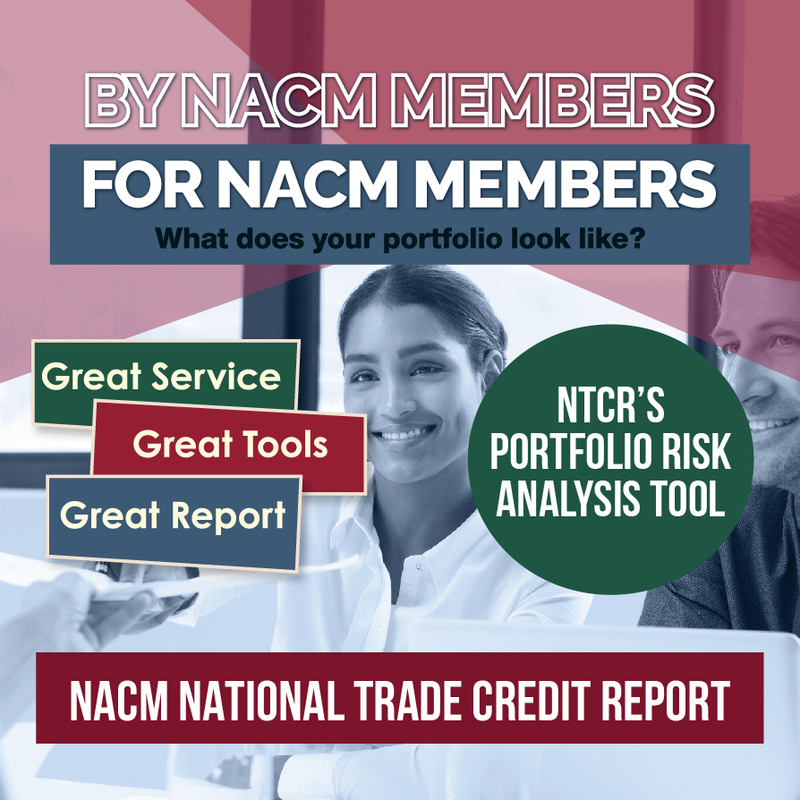 NACM will be a thriving, dynamic organization whose membership is committed to professional excellence in business credit and financial management. NACM will encourage the honest, ethical, unrestricted exchange of historical and factual credit information. Business credit information will be true, unrestrained and maintained by all credit professionals in an environment of confidentiality. NACM will advocate sound business credit practices. The credit profession will be an integral part of business management and recognized as vital to the free enterprise system. Credit education will be available to the business credit community. NACM will organize and govern the association knowledgeably, openly and responsibly.